Launched March 2009 - Commissioned in Sept 2008 by Piet Vroon, a seasoned campaigner of racing yachts, and built by Salthouse in Auckland, "Tonnerre" was designed to be highly competitive offshore but also hold its own well inshore. 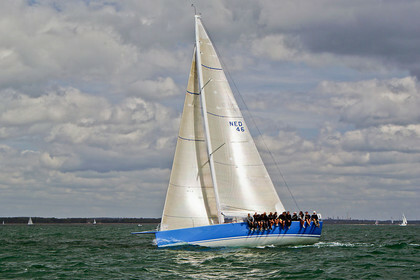 She has been outstandingly successful both on the Ocean and around the cans, winning a huge number of races, twice Overall winner of the RORC Season Championship (three times in class) and twice winner of the UK IRC National Championships from two attempts. She has proved her her seaworthiness many times, in particular in very tough conditions around Britain and Ireland.